Will you tell me how I can get news/updates about the Bhagwant University ? As you want I am here telling you process to get news/updates about the Bhagwant University. 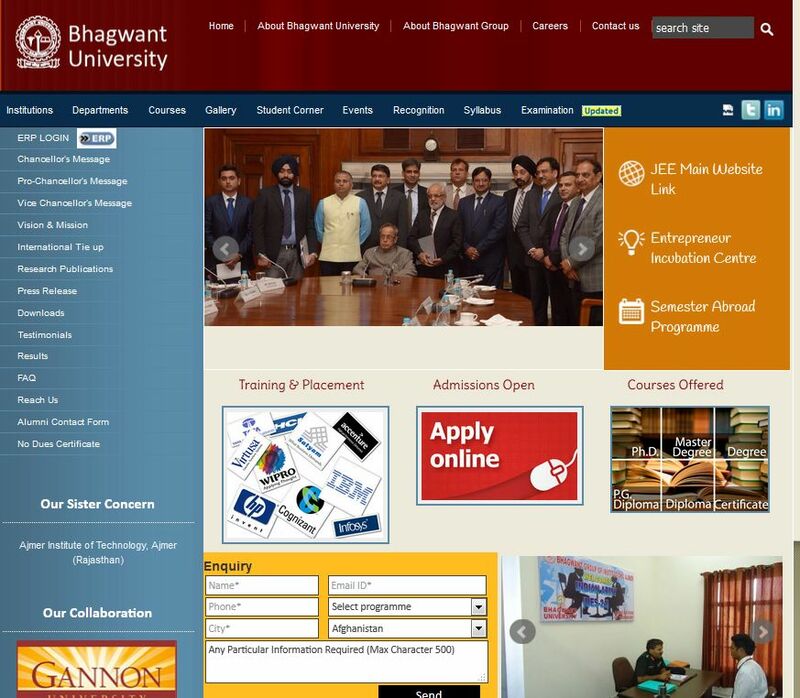 Visit official website of the Bhagwant University. at this page at bottom side you get Latest News section where you get view all link click on that link. from here you can get updates.